Olivenza is a small city in the province of Badajoz, Spain. 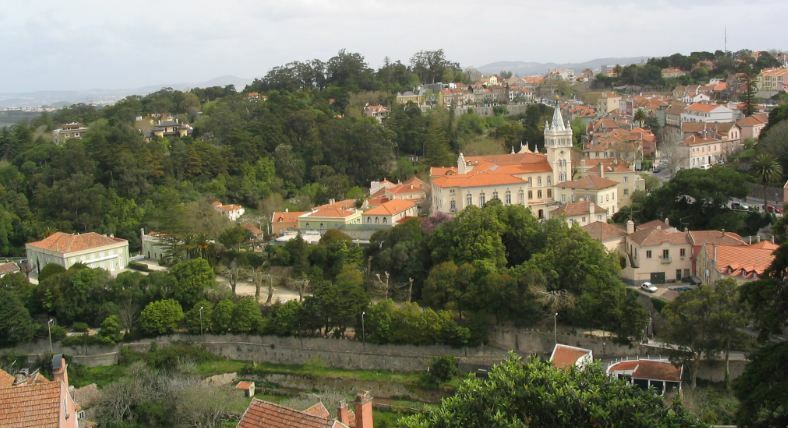 Until 1801 it was a Portuguese city, and the border is now at a short distance. This border position is the reason for a series of walls that have protected the city, leaving a still visible trace in the current urban fabric. 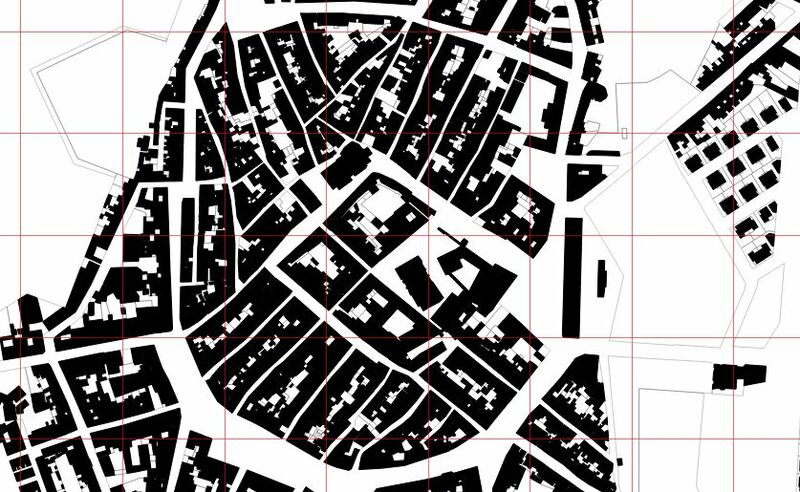 The core of the walled zone is organized around the first castle and the main church, with a group of four rather regular blocks. The subsequent urban growth reached a larger wall. Getting a look at the blocks on the southern edge of the walled area there is a certain degree of regularity, with some 35 m in width and slightly over 100 m in length, and a structure of streets going towards the core of some 5 m in width. Block area is usually between 4.000 and 5.000 sq m (about an acre for Imperial System fans), and lot lines are usually over 6 m. Heights are usually less than 4 levels. The rather narrow block makes courts rather irregular, with not much continuity. 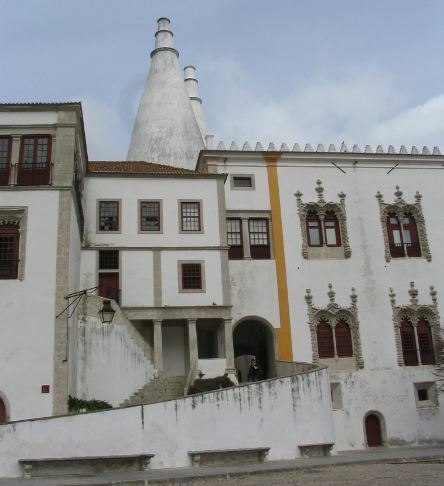 And white architecture, with “calçada portugesa” as paving… A protected area which is well preserved. Most of the coastal metro areas would simply dissapear under water (upper image, Lisbon). For some, the new coastline would be just a handful of islands with no links, but for others (lower image, the Artabrian gulf between La Coruña and Ferrol) the new shore would be even a bit simpler than the existing one. The summits of the coastal hills would remain, not being necesarily the most interesting thing. There are ports that profit from a space which can naturally harbour the boats of the moment; Bruges or Ghent were relevant ports in a given time, but larger ships and the silting of their river mouths has changed that situation. And there are ports that are just a result of spectacular bays in which an entire fleet could be moored; when surrounded by a metropolitan area, the result can be simply spectacular in landscape and urban complexity terms. Large bridges with funny layouts (the bridge as the shortest span between two points can be distorted by the presence of a reef or an island on which to have a footing), the rush to occupy flat lands on the seashore (wharfs, airports, factories, infrastructure…) and a complex terrain elevation can be present. Lisbon is one of the most interesting cities in the Iberian Peninsula and the whole of Europe when it comes to the relation between urban fabric and landscape. It is the sea gate to a watershed that covers a significant part of the central Iberian Peninsula. The Tagus estuary widens in the Straw Sea before going through the Almada- Alcantara straits, creating a gate to the sea that, by its sheer dimension, is at the same time a threshold and a visual opening. The empire is past, but its built remains are still interesting: Commerce square is an example of quality architecture by the Tagus shore, but it is by no means oppressive. San Francisco has an even larger bay, formed by the confluence of the Sacramento and San Joaquín rivers. it is the natural outlet of the California central valley. The urban core is near the Golden Gate straits, but the visual link to the open sea is less relevant than in Lisbon. Conversely, the more reduced peninsula allows an urban façade (albeit rather low density and not formal at all) towards the open-sea beaches. There are skyscrapers, but no space seems to have the scenic relevance of Commerce square in Lisbon; the image, as in most American cities, is defined by stacking fragments, not by a unitary architectural project. Some recent projects, as the High Speed Train station, can have a powerful architecture, but not related to the sea. The most relevant recent project on the seashore has been a subtractive one: removing the Embarcadero freeway. Rio de Janeiro configures an urban landscape of enormous complexity, whose qualities have been recently recognized by UNESCO through its inscription on the World Heritage List. The urban renewal project in Port Maravilha intends, among other ends, to transform a section of central wharfs, but here the most representative city-water interface is the beach. This does not mean Copacabana is the city core; it is a recognized image and a busy place, but not necessarily the kind of urban core you would assume in other countries. In socioeconomic terms, Rio still suffers after several decades of the impact of loosing its federal capital status to Brasilia. I personally prefer the Royal Palace, (XV-XVIth century) to the Pena Palace (XIXth century), which is the one motivating the inscription on the list, but each has its interesting elements. It is a nice trip from Lisbon. 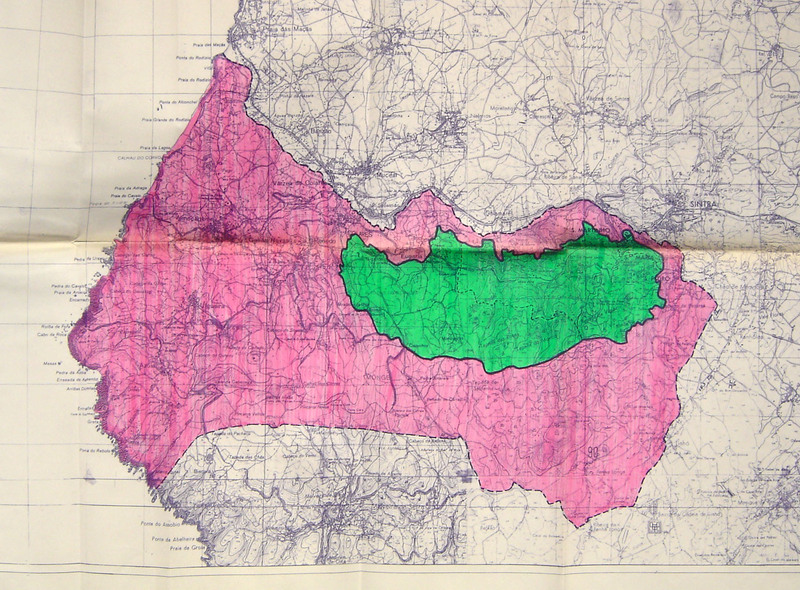 Property limits and buffer zone. The area is hughe, as it covers a mountain landscape extending towards the sea. 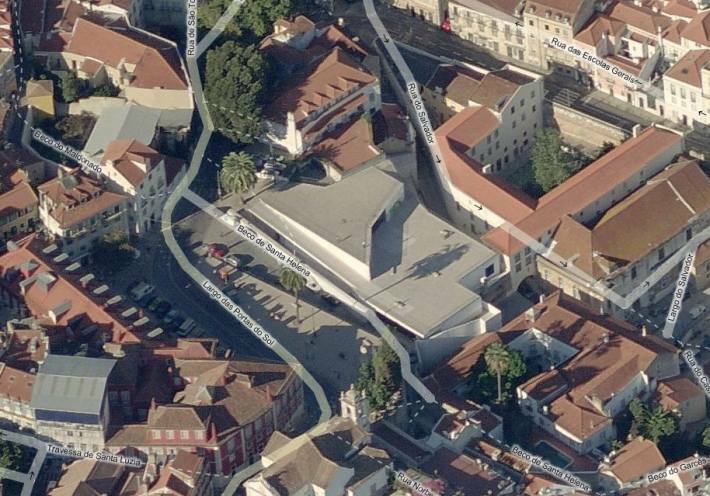 A recent bar, associated to a 150 spaces authomatic parking (getting there walking or by eletrico is the option I would take to better enjoy the city) and a new public space on the eastern flank of the Alfama hill. Furniture elements are nearly the only ones visible from the rua Sao Tomé. 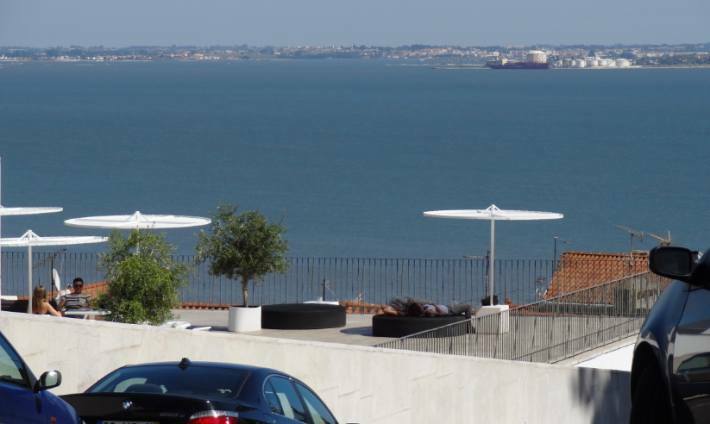 – The “straw sea”, formed by the wide Tagus estuary, a water surface which has a 23 km width at its widest point, crossed by two large bridges; the view of the center from the 25 de avril bridge is spectacular. As a metropolitan void this space has a special landscape value. 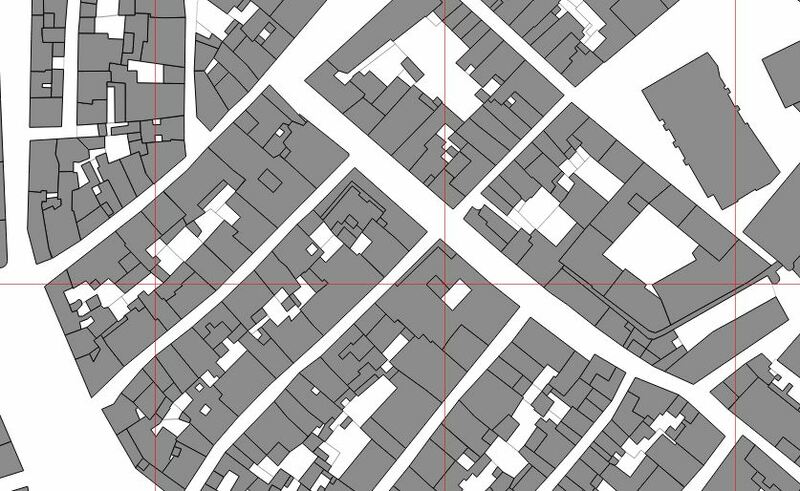 – A low area with a limited slope between the Restauradores and Comercio squares: Baixa, with a grid layout from the XVIIIth century resulting from the city reconstruction directed by the Marquis of Pombal after de 1755 earthquake and tsunami. – A relevant unity in the building elements, with the logic variations due to age and the social and economic conditions of each neighborhood. 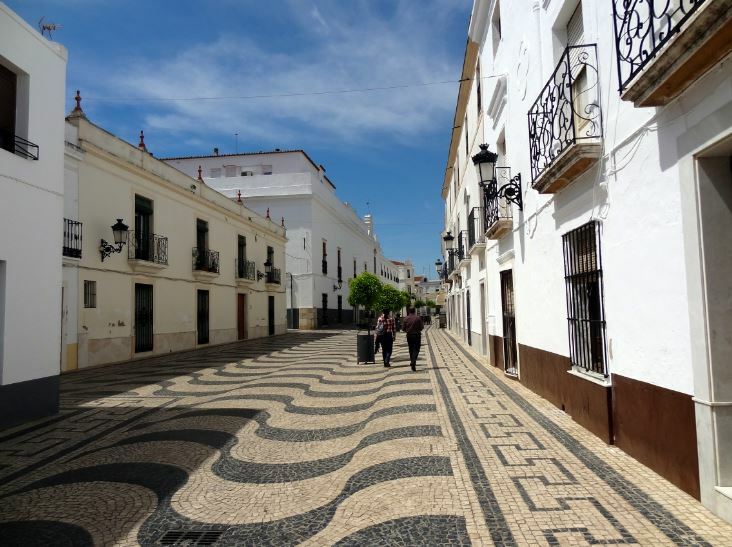 – The constant use of a limited number of singular elements in the public space, and especially the calçada portuguesa, a traditional paving system for sidewalks with small irregular limestone and basalt elements. The Tagus shore has been subject to refurbishment works for the last years, concerning the maritime stations and central quays, and specifically those around the Comercio square; work is still under way to the west, in order to the public spaces on the river shore. The Baixa is a retail and business centrality area, which today has a more representative role as financial and large corporation headquarters have often moved to more peripheral areas. 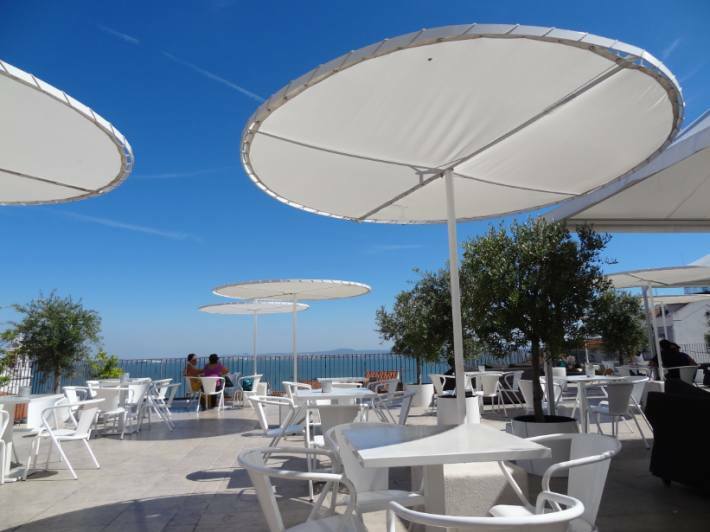 But it is a living center, which is served by many rail and underground stations and the ferry terminals that connect the central city to the rest of metropolitan cities on the southern shore of the Tagus estuary. It is still the area in which most of the government is, and the Comercio square permeates a certain vision of the relation between political power and public space that can be compared to other examples in Paris or Saint-Petersburg. A relevant part of the streets are pedestrian only, with their spaces occupied by cafés and restaurants. 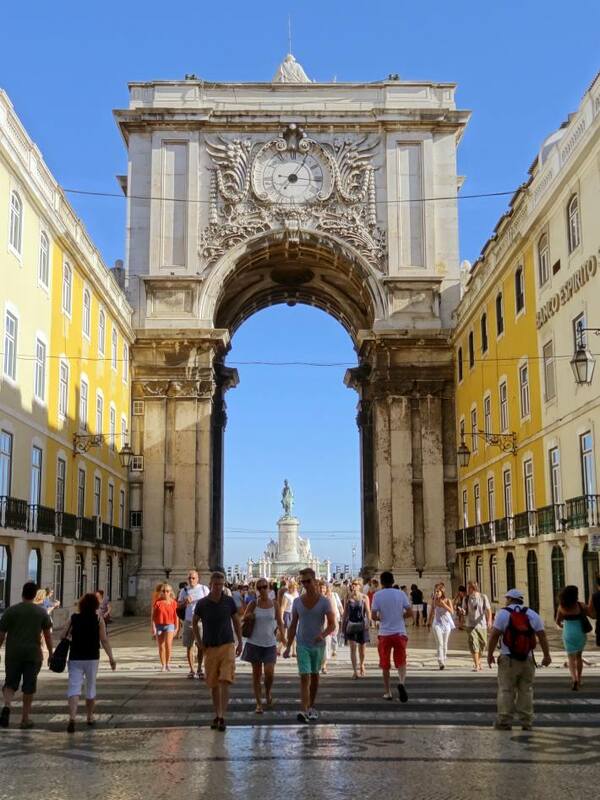 The Rua Augusta, linking Rossio (Pedro IV) and Comercio squares through the Arch of Rua Augusta, is the main pedestrian axis of the area. There is also a retail activity on side streets, more intense in areas near the Chiado. The architecture shows the traces of a uniform building ordinance, visible in the unified geometries. Chiado and Alfama Hills are two different faces of the city. 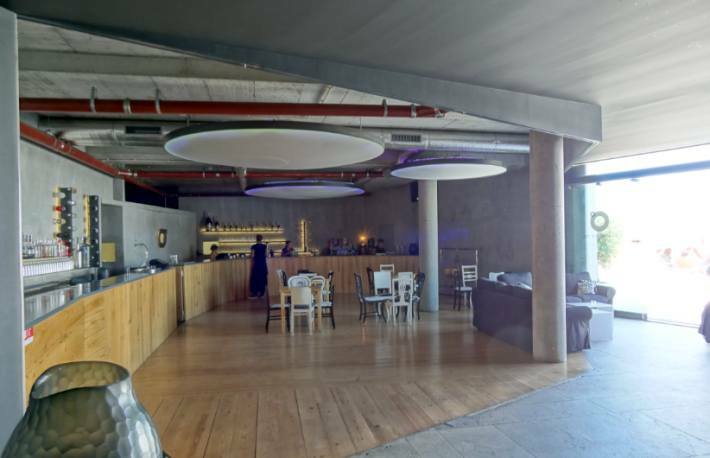 The first is a space with a certain cultural prestige, linked to the literary reunions in the Café A Brasileira, and has regained a retail function after the 1988 fire. 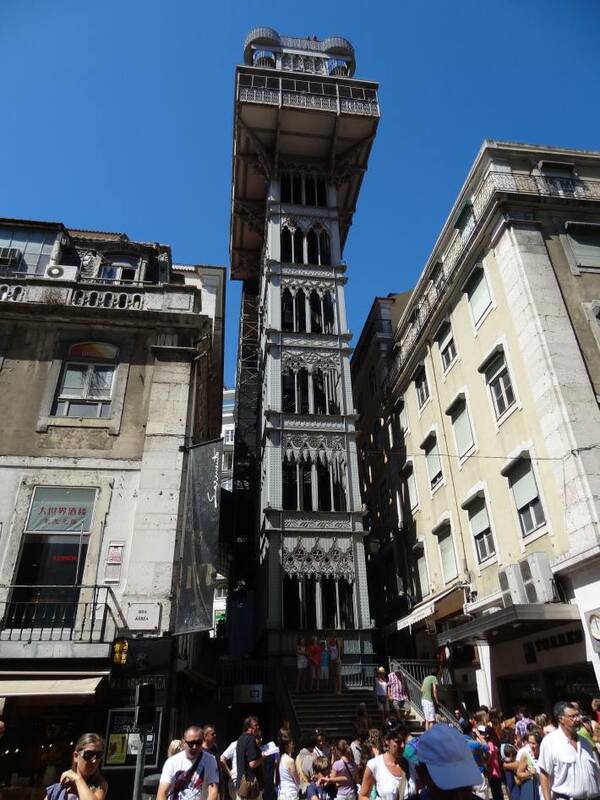 It is linked to the Baixa by a network of narrow and steep streets, that can be avoided by taking the Santa Justa elevator, an iron construction from the end of the XIXth century (whose author was Portuguese architect Raoul Mesnier du Ponsard), managed today by the public transportation system, or by taking the elevators of the retail centre that has substituted the department store where the 1988 fire initiated. As in Alfama, you can also take the eletrico, cable cars that in some steep slope streets are specially adapted. 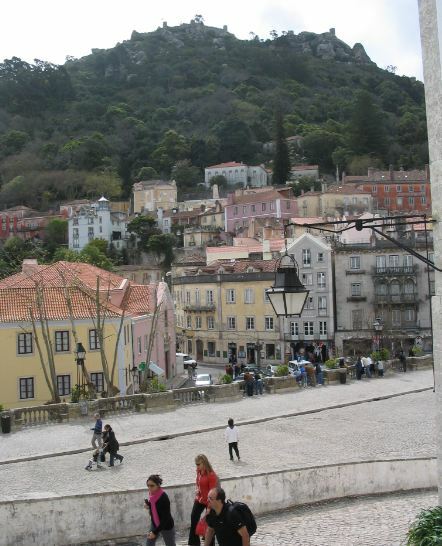 Alfama is, on the other side, a more popular hill, with living conditions that seem less favored. Large belvederes exist, and among them the San Jorge Castle is the most relevant. The belvederes on the hills are relevant to the nearby residents (flat public spaces are rather scarce on the hills) and for tourists. Even while the conservation conditions of the buildings can sometimes be bad, the visible landscape from those spaces is always interesting. It is not as striking as Porto, which is closer to Piranesi’s drawings, but the combination of the hills and the large water body is very attractive. Recent buildings in historic areas are usually well integrated in their settings. The old buildings often show ceramic tile façades with bright colors, but also maintenance deficits. This seems more relevant in less favored areas as Alfama. The coherence of buildings is joined by a feeling of unity due to the quasi-universal presence of the calçada portuguesa on sidewalks. From 1842 its original configuration has evolved, mainly on designs. On one side it can seem uncomfortable, and even slippery due to the bright surface of the small stone elements polished by pedestrian shoes; but it is an element of unity, perhaps more resistant than what seems at first sight, and it is also surprising to see that it is also used in new urban extension areas in many cities in Portugal, which may indicate more reduced handcraft costs than in other parts of Europe. At night the system is quite visible, as the public lighting is reflected. In this context, the tourism offer is diverse, as well on the cultural and landscape elements as on those concerning restaurants and leisure. The recent introduction of new access elements, as tuk tuk and the improvements in restaurants and hotels, are surely to blame for the good tourism results during the first half of 2012. Lisbon concentrates on a limited territory many tourism sectors; but for mountains and snow, of lesser importance in Portugal, the metropolitan area has heritage, culture, beaches, events, conventions and nearly any sort of tourism activity in several organizational and economic segments; it is a situation not unlike that of Barcelona. Lisbon is also the third most populated metropolitan area in the Iberian peninsula after Madrid and Barcelona, and can be proud of one of the most monumental and interesting old cities of Europe. The fact of having been the capital of a world empire, liquidated by the carnation revolution in 1975, and the traces of that old splendor as seen in a context in which unfortunately decadence is in some areas beyond poetics, marks the city. Old trams have survived in a large measure due to the fact that the city lacked some modernizing waves that were present in other parts of Europe, to become today a tourism asset, and a sustainable mobility one too. The persistence of the traditional paving on sidewalks is in part the result of the resilience of a costs structure in the public works that no longer exists in other areas. 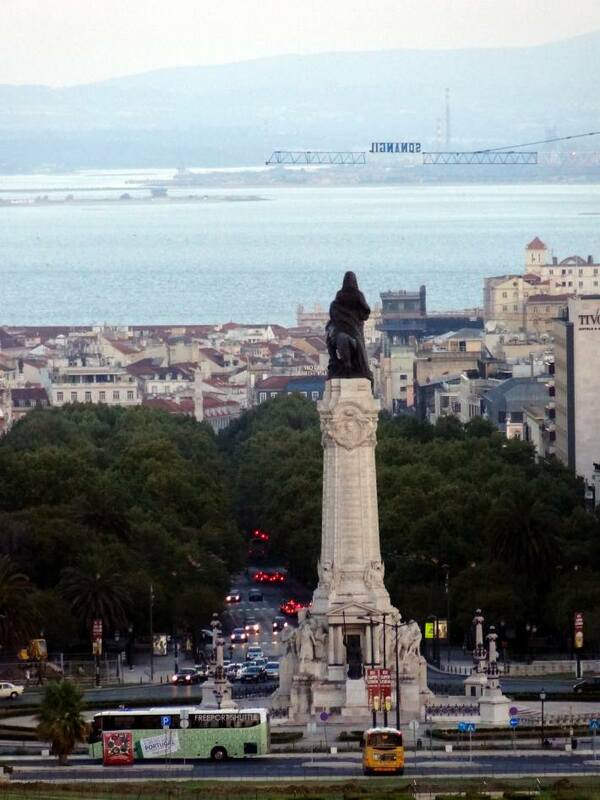 On the other side, the 25 de abril bridge as seen from the Praça do Comercio configures an interesting metropolitan landscape. The Plano Estratégico do Turismo de Lisboa 2007-2010 develops the aims of the national strategy, and has a goal to increase value through modernity, authenticity and experience. 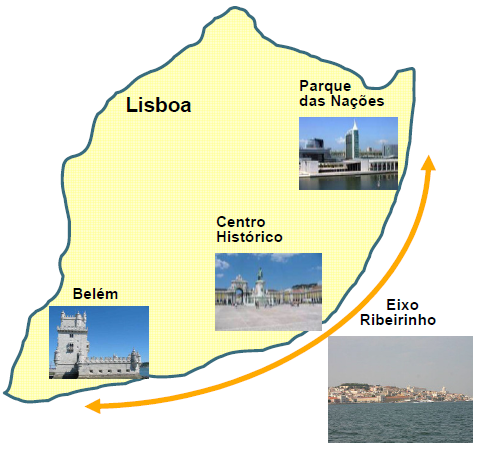 The plan proposes three micro-centralities along the Tagus shore: Belem, the historical center and the Parque das Naçoes, where Expo 1998 was held. Madeira (pop. around 270.000) has one of the oldest tourism traditions in Portugal, due to its benign climate, that was already a magnet for a part of the European aristocracy at the end of the XIXth century. This origin as a sport for the high class in times of quite different social practices, a relative lack of natural beaches on the island (even if in the same archipelago Porto Santo has a large beach) and a singular environment, are all reason for a different littoral tourism model, closer to that of La Gomera or El Hierro in Spain, or to La Reunion in France. 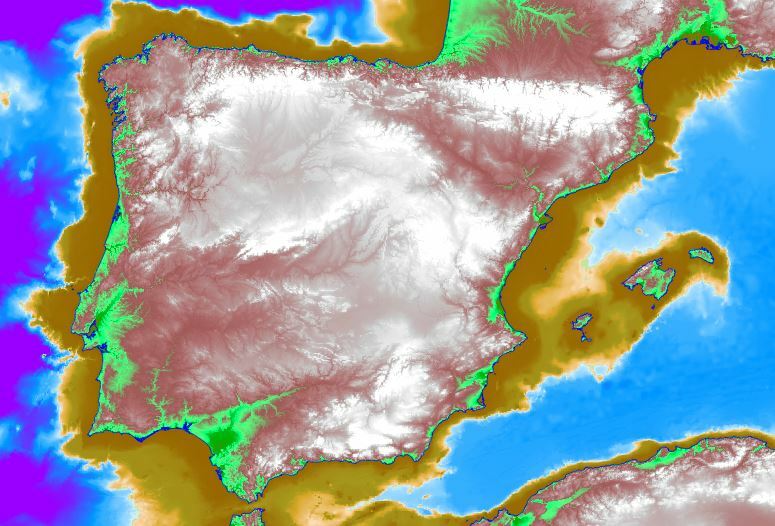 The island of Madeira has a very complex elevation map, with steep slopes. The littoral motorway on the southern coast, with complex bridges and tunnels, does not prevent the use of mountain roads to access the rest of the island. Areas such as the Curral das Freias, a deep valley on the center of the island, configure differentiated landscapes. The northern coast is especially rough. 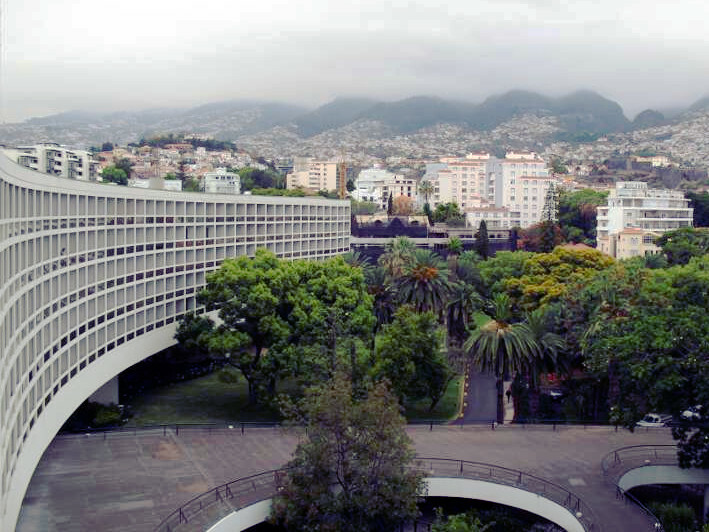 The territorial model for tourism concentrates most of the hotels and tourism venues in Funchal (pop 112.000), the capital and main harbor, and a series of smaller businesses are scattered across the rest of the island, according to a model of daily excursion from Funchal, aimed at contemplating scenic landscapes and a local culture which shows a sketch of what later became the Portuguese colonization of the world. 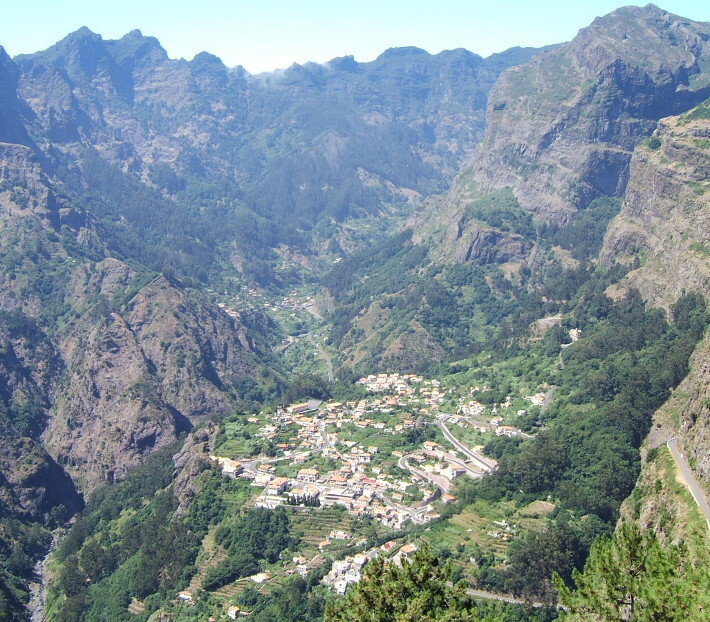 The Plano de Ordenamento Turístico da Regiao Autonoma da Madeira sets a maximum tourism capacity of 35.000 beds in Madeira and 4.000 in Porto Santo; Funchal can get up to 23.000 tourism beds, and the maximum capacity for a lodge in the rural areas is 80 beds. 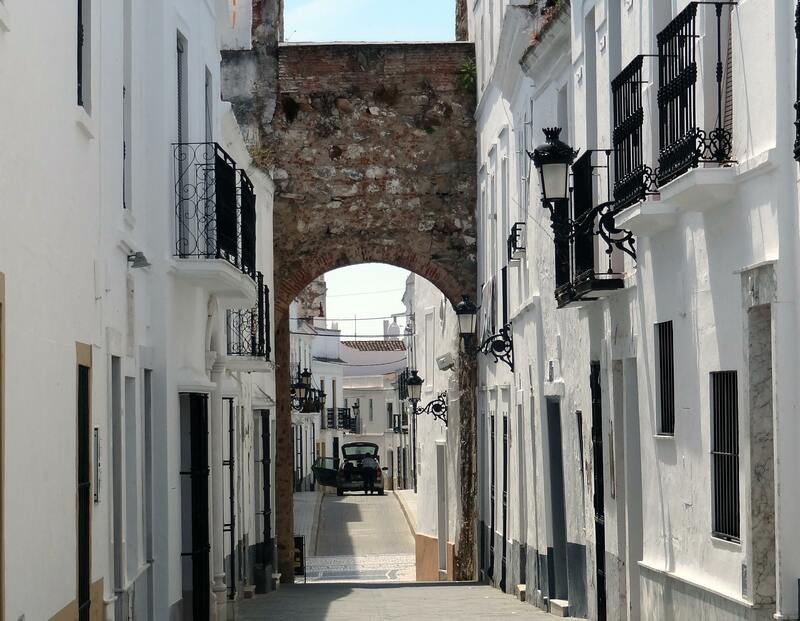 The environmental tourism, with a special attention to pedestrian trails following the levadas, irrigation canals on the terraced cultivation areas, are particularly popular among clients that include large numbers of Britons. 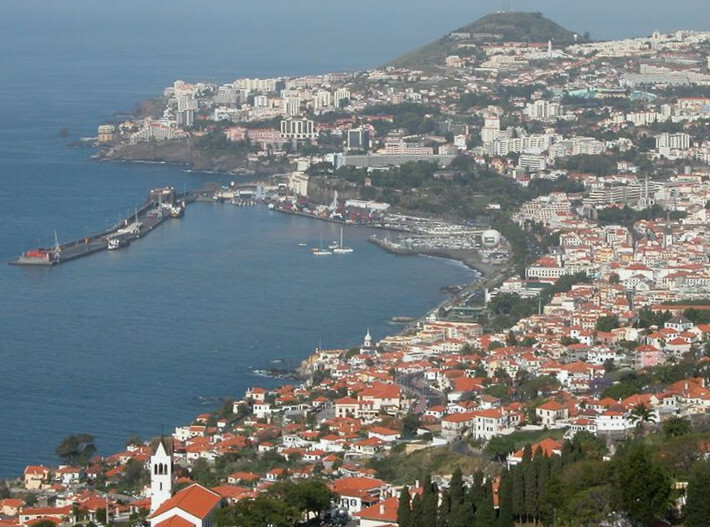 Tourism linked to Madeira wine and food is also important.